In one instance and a single act of terrorism...it's all over. You can't see it nor can you smell it. You aren't even aware that you have taken it in. In a crowded New York subway a deadly airborne virus has been released. There is no cure. No stopping it. Within 24 hours, it will be too late. The struggle to survive is witnessed through the eyes of a small group of people as they battle an unseen and invincible foe. You will watch as they do, their world and everyone they love, crumble in the devastation of the virus. Hope, faith, and humanity are tested as the silent victor runs its course. No one said life would be easy. No one said life would be fair. No one said life couldn't end. 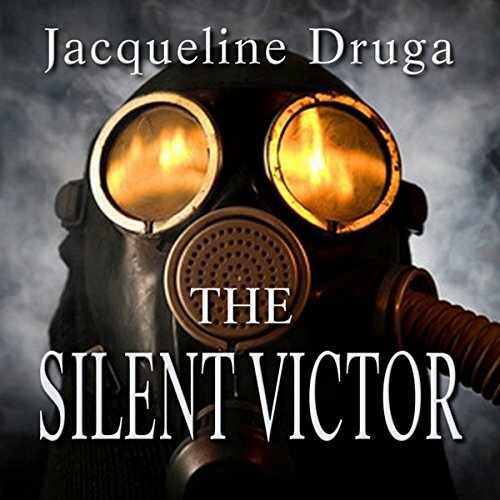 The first book in the Beginnings series the “Silent Victor” takes us through the start of the plague and fall of civilization. After the initial die off and gruesome ends to many people it slows down and focuses a lot of attention on character development (the series is like 26 books so there is time) but give you a good feel for what is going on and makes you really connect with the main characters. I enjoyed this enough to plan on moving onto the second book in the near future BUT, I will not be doing so if its read by Andrew Wehrlen. He has a herky jerky delivery a la Captain Kirk and all the women sound like southern bells. Wanted to like it but just could not, though I did try. The narrator delivers the text in a halting, breathy type of way that just grated my nerves. The characters were not at all believable. The brilliant scientist is really an idiot and the grieving mother is at the middle of a love triangle that is totally out of place in this story. Also, many of the relationships are not made clear so it left me wondering what the heck was going on. I would pass on this one. Would you try another book from Jacqueline Druga and/or Andrew Wehrlen? I would try a another title by this author but not in conjunction with this narrator. Would you be willing to try another one of Andrew Wehrlen’s performances? Absolutely not. His abrupt halting style was off putting for. It was like listening to Captain Kirk read a book to me. The book was really not bad at all but the performance was awful. If you can get past that then you will like the book. If I could return this, I would. I got about a third of the way through this book but I completely lost interest in it. I realized this just isn't worth the mental calories to complete it. Frequently, I blast through apocalyptic genre novels within a couple of days enjoying the tale and caring about what happens. Not here. This one could not hold my attention. The story is not so bad, it's the narration which kills it. The monotone voice with virtually no distinction between characters make this story just a run-on mess. Plodding, lifeless narration can really crush one's interest to the point where I could not track nor did I find myself caring about the characters. The thought of surviving 11 hours of this was like eating the nth piece of pizza where it makes you feel kinda ill. It really pegged the boredometer for me. What made the experience of listening to The Silent Victor the most enjoyable? The first half was fun, and what I expect from a good virus-kills-the-world story. Would you recommend The Silent Victor to your friends? Why or why not? not the audiobook. the narrator was horrible. Who would you have cast as narrator instead of Andrew Wehrlen?